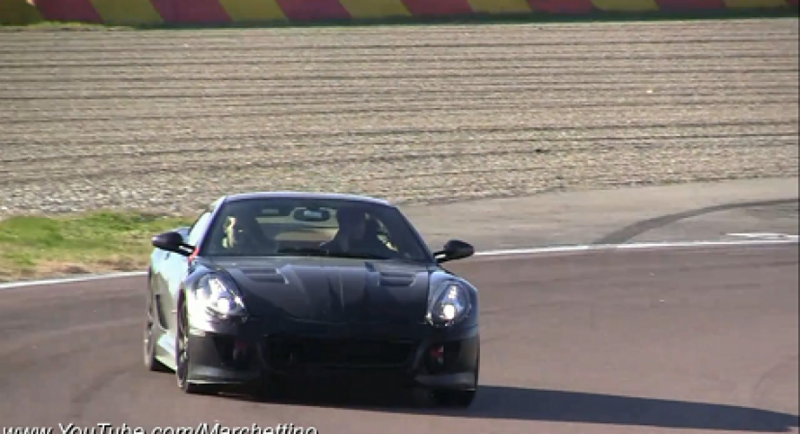 Here is a set of new information of the Ferrari 599 replacement, a model that had been spied on the Fiorano track last year and that is scheduled to debut somewhere in 2012. The new 2012 Ferrari 599 is based on the current 599 GTO and is better known as F152. There are a lot of improvements to be available for the new Ferrari 599, namely, the new Italian model will benefit from a lighter body made of aluminum monocoque while under the bonnet we expect to see a reworked version of the 6.3-liter unit found under the bonnet of the new Ferrari FF. Thanks to the revised V12 engine, the new Ferrari 599 is rumored to develop around 700 horsepower but unfortunately this is not confirmed yet. In conclusion, the Italians from Ferrari claim that the new Ferrari 599 will be the most powerful and of course the fastest Ferrari badged model that can legally run the streets. If this will confirm or not, we have to wait until Ferrari releases new details, but since then, let’s see the prototype on the track.